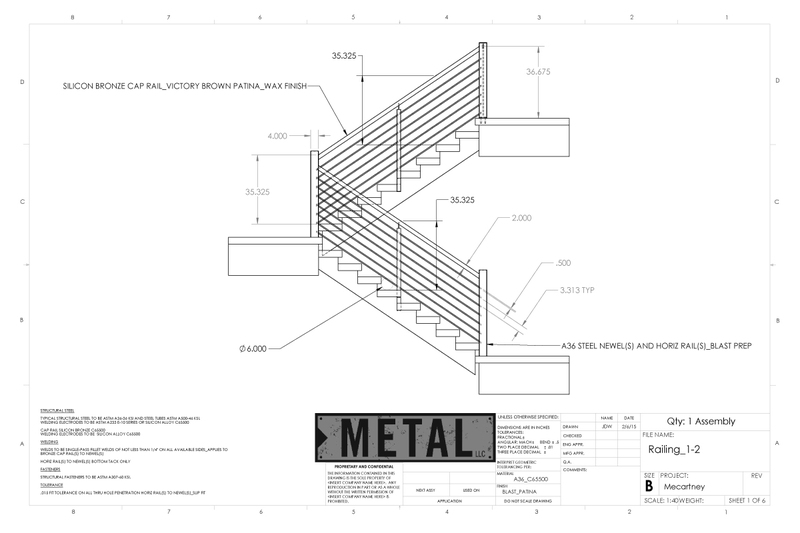 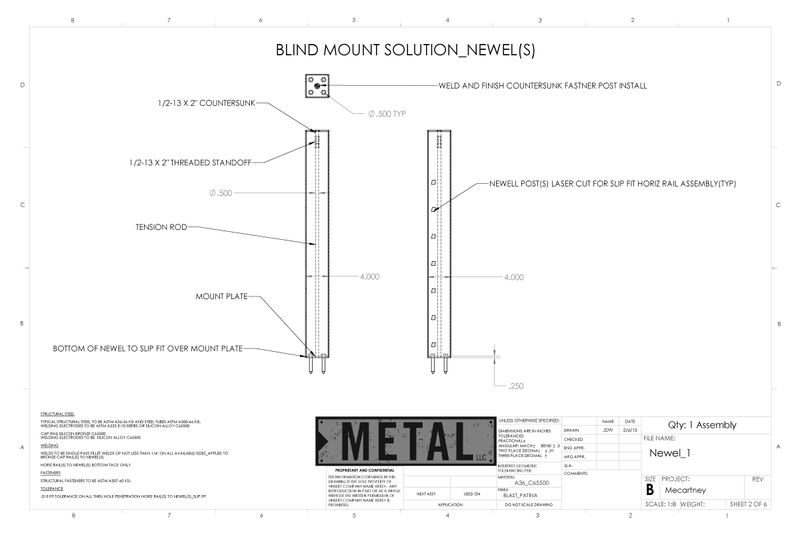 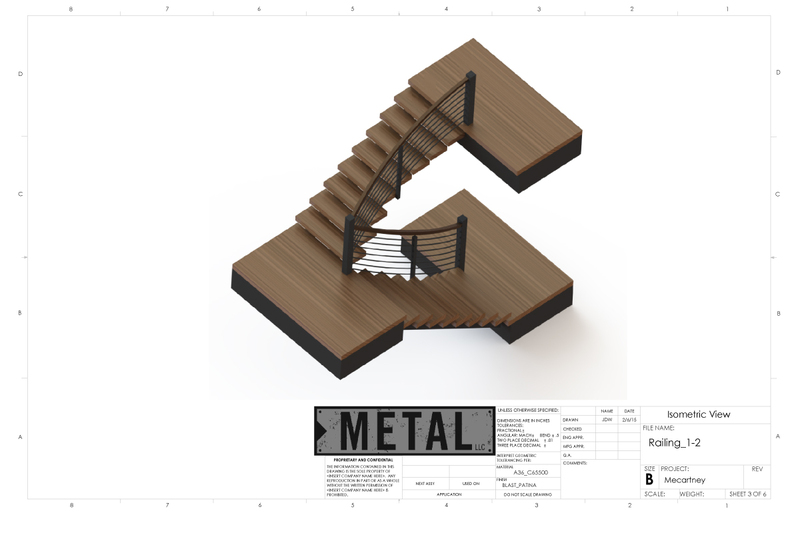 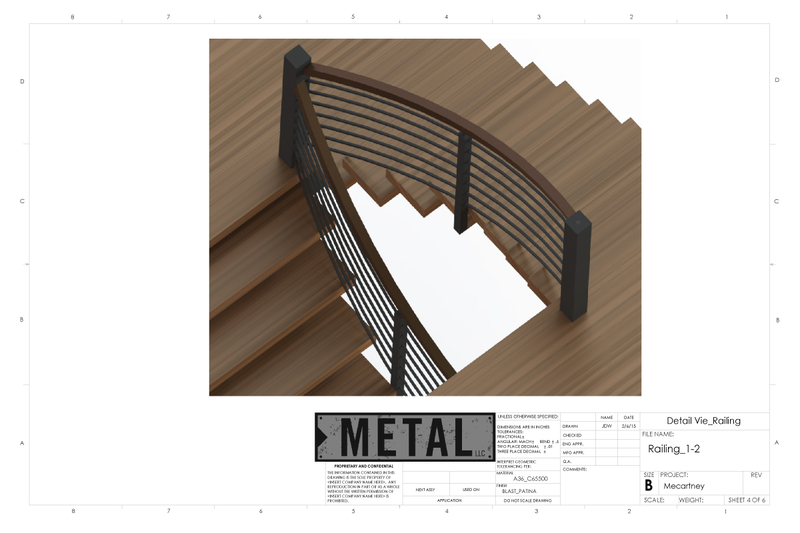 Railing design for three-story staircase set. 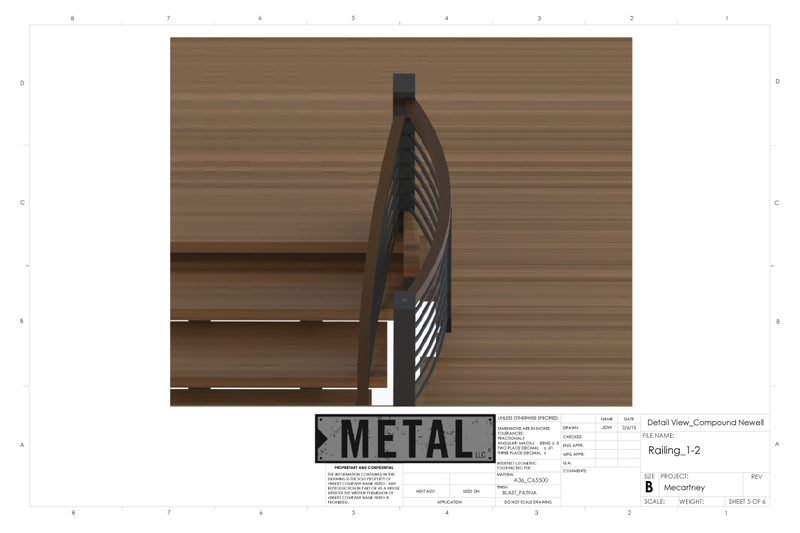 Silicone bronze top rail with victory brown patina accent each curvilinear rail section that is blind fastened to laser cut newel posts for seamless joinery. 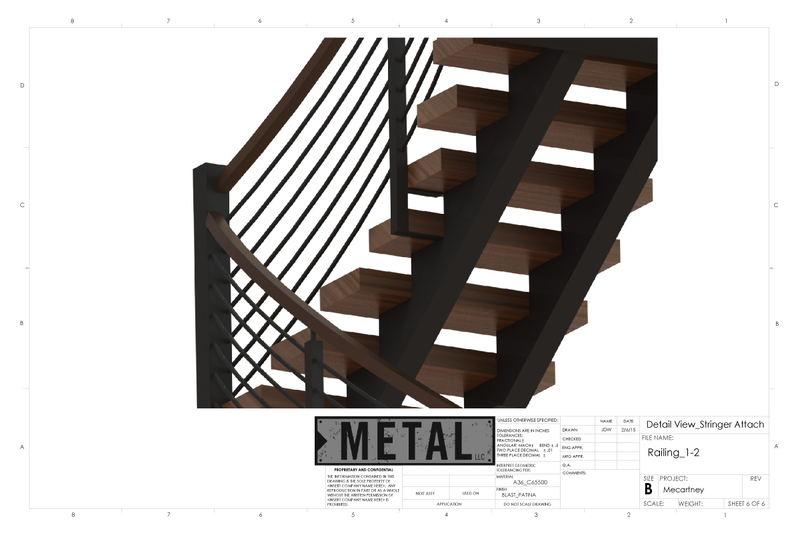 Finished with satin black PPG urethane topcoat this staircase design provides the inner geometry of a spiral stair with the full stair feel of a more traditional rectilinear stair design.